March 2016 – Reform in 5 Minutes! Why should we bother with forming a clinically integrated network (CIN)? If it takes a lot of work, engagement and capital, is it worth it? It is worth it, largely due to 3 challenges we will be faced with. 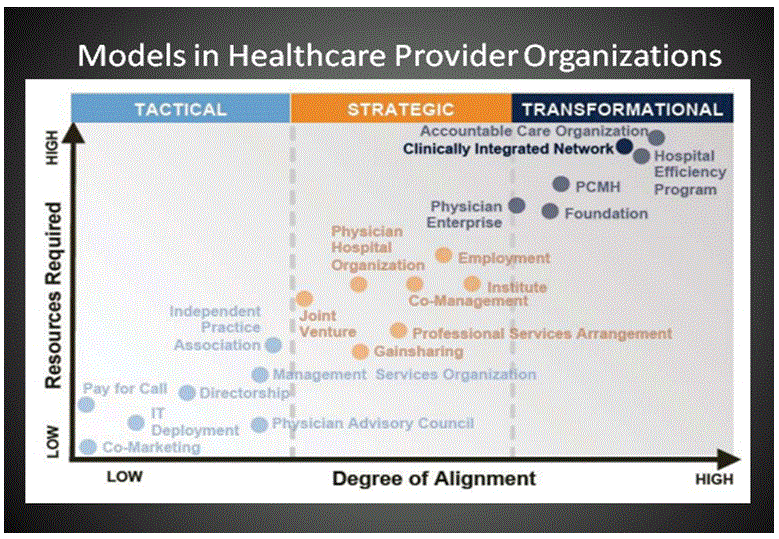 First, risk is shifting from payer to provider (hospitals & physicians). Therefore, efficiency must be increased and duplicative or unnecessary procedures must be eliminated. The CIN leverages regular communication, sharing of patient data and adherence to high clinical standards to reduce costs. The time has come to stop talking about reducing costs and begin acting on it. Physicians control at least two thirds of costs in a hospital or system, so we need to be engaged. Second, we will be required to move from volume to value, as we have been discussing. This will not necessarily reduce revenues if done correctly. As the network proves its value proposition by improving quality and reducing costs, it enhances its contracting position with payers. The CIN negotiates contracts to take care of larger groups of patients, partnering closely with payers. If we do this correctly, we will not be paid less, but we will be paid differently. Third, we must compete on quality. This model allows the CIN to implement alternative payment models (remember last bit about APM’s in MACRA?). We can define our own quality measures, work on them together, and do away with MIPS which CMS controls through the quality metrics that will replace or incorporate MU, PQRS, value based modifier, etc. I have looked at various options that we have moving into the future in healthcare. We need a structure that allows clinicians, hospitals and payers to work collaboratively, aligned by the same incentives. The CIN model, done properly, carries the most benefit and controls some of the risk. Many existing models (see slide below), including our own Monida PHO, will not suffice in a few short years. Tactical models are ubiquitous already. Strategic models work but get us only part of the way. Transformational models get us all of the way. But we cannot implement this overnight, so we have to begin preparing now. Next time, we will delve into the structural components of the CIN.